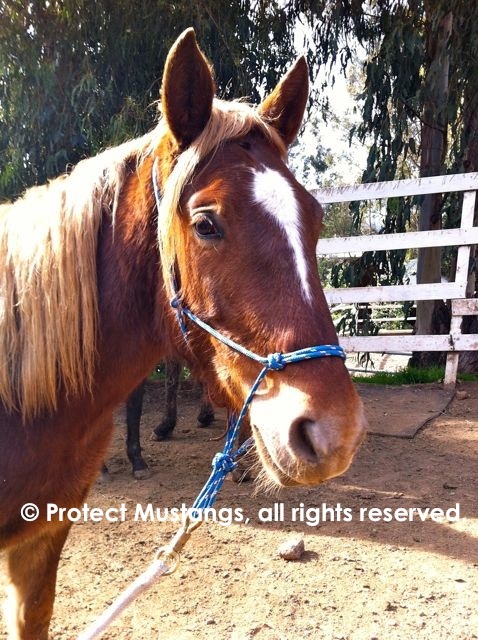 January 22, 2013 Blondie is allowing the halter on her nose. 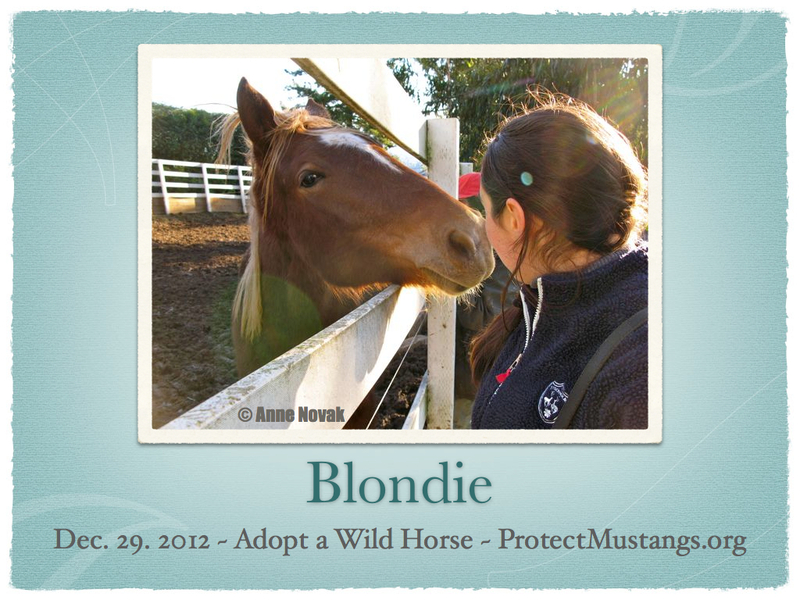 Blondie is a California wild horse filly from High Rock. She will be 2 years old in the spring. We adopted her when she was a yearling and already had 2 Strikes against her. 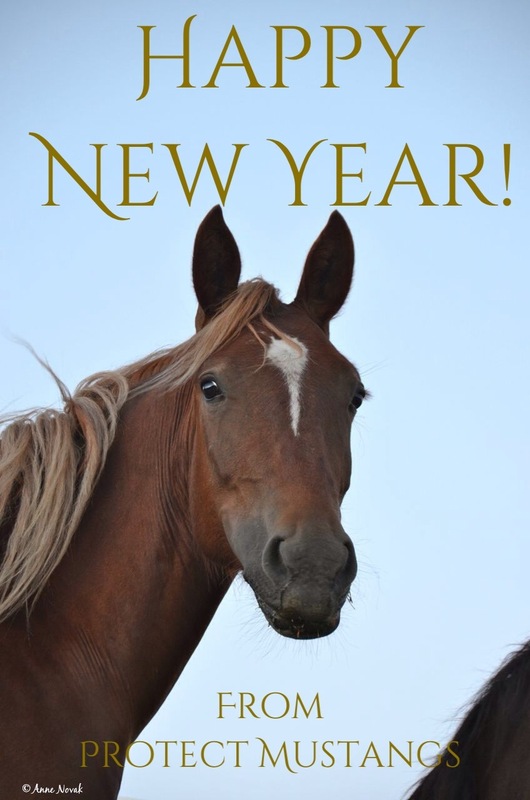 We are very grateful to those who donated for Blondie’s transport from Susanville to the Bay Area on December 12, 2012 and are especially grateful to her sponsor. Without a round pen the gentling process is unusual but fun. It’s my first time to gentle a wild horse fresh from the holding facility and it’s really cool. I’m working in a team with my mom and Inez. Before Blondie came up to me, Inez was scratching her face up to her ears and under her chin. Blondie enjoyed it. She understands we all love wild horses. They know who the nice people are. Later Blondie came up to me. We started connecting nose to nose when Inez reached out and touched her back for the first time. Later Mom was scratching Blondie’s hindquarters for the first time and Blondie was loving it! I think things are moving along well with the gentling because we are taking our time. 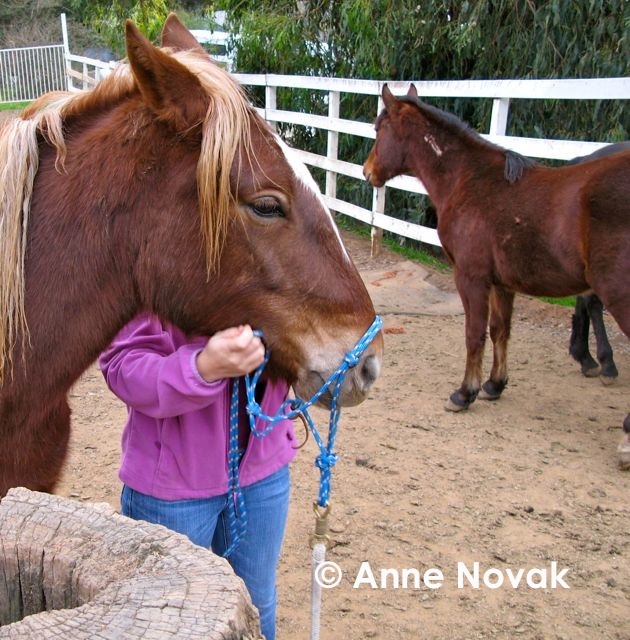 These 4 California wild horses have lost their families and their freedom. They deserve compassion. Sadly we can’t give them back their previous lives and I wish we could . . . We can offer them the best lives in captivity–filled with love, respect and partnership. 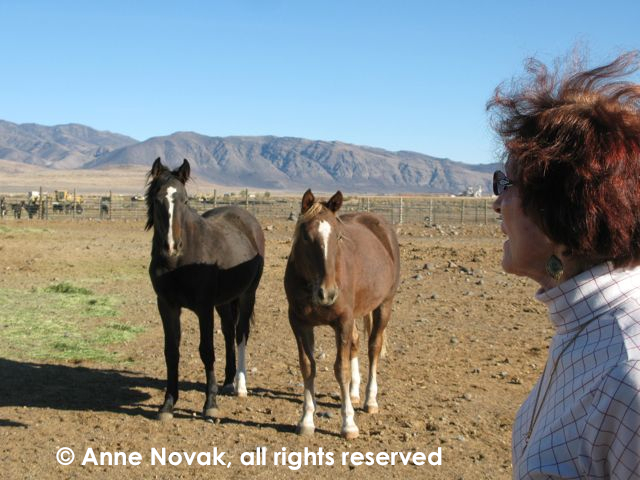 I dream of a day when we can have a large space for the wild horses we work with so they can run in a herd, work with us, then go back to the herd for sleep time.